The Kings pulled off a big win against the Trail Blazers in Sacramento on Monday. Six Kings players scored in double figures in the victory. 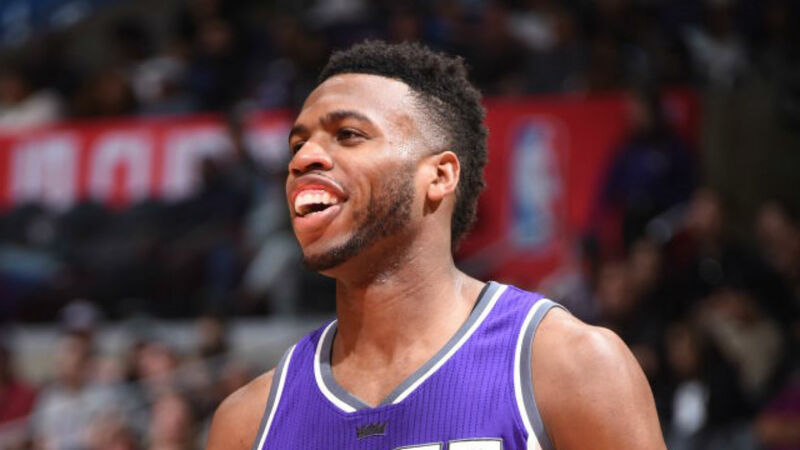 Buddy Hield paced Sacramento with 19 points and seven rebounds on 7-of-10 shooting. Bogdan Bogdanovic was right behind him with 18 points on 8-of-10 shooting. The Trail Blazers attempted to make a comeback in the closing minutes, but missed their chance to make things closer when Damian Lillard stepped out of bounds while receiving an inbound pass with 38.1 seconds to play. Lillard finished with 35 points, leading all scorers. Portland dropped to 26-19 with the loss while Sacramento improved to 23-21, edging closer to the playoff picture. James Harden scored 57 points on 17-of-33 shooting in Houston’s 112-94 win against the Grizzlies. D’Angelo Russell recorded 34 points and made seven 3-pointers to lead the Nets past the Celtics 109-102. Kemba Walker put up 33 points in a 108-93 Hornets’ win against the Spurs. Anthony Davis tallied 46 points and 16 rebounds in the Pelicans’ 121-117 win over the Clippers. CJ McCollum was ice cold, scoring six points on 2-of-14 shooting for the Trail Blazers. Terry Rozier only managed to score seven points on 3-of-12 shooting in the Celtics’ loss. Grayson Allen with a big block against the Pistons. Jaylen Brown skipped through the lane and threw down this lefty dunk on the Nets. Warriors (28-14) at Nuggets (29-13) 9 p.m. ET — The two top teams in the Western Conference are set to clash in Denver. The Nuggets have the best record in the West while the Warriors are riding a four-game winning streak. Denver’s roster is riddled with injuries, but this matchup should still provide an exciting preview of a possible playoff series between the two teams.